Sunshine day! Everyone surely had a dance on their feet and a song on their lips at Shiloh’s colorful Trollstice! A far cry from the movie though, this affair is one that will make you believe that life is all about unicorns and cupcakes. Guests found their happy place, thanks to event stylist extraordinaire Dianne Khu Designs, who did a superb job in bringing our beloved Trolls into life, and in true Trolls fashion, giving happiness and fuzzy feels to everyone. Shiloh’s shindig was a feast of vibrant rainbow colors and a melting pot of adorable details. Bustling with fun and excitement, this party will definitely banish the Bergen in each of us. Ready to sing and dance and hug and check out this festivity through Candy Box Photography’s stills? No troll left behind then! Everybody’s coming to the celebration because Shiloh’s hooked us up with an invitation! Could there be any invite more colorful than this? Branch and Poppy are overly optimistic that everyone’s psyched to go, seeing how cute the party teasers are! A bright, colorful and happy set-up greeted the guests by the entrance. Marquees are such flexible and gorgeous elements, so it was no surprise that they can even be used during the day. To achieve the perfectly charming and playful mood, photos of adorable baby Shiloh were also displayed. Everybody put your hair in the air! Shiloh’s giving her little guests’ hair some serious highlights —and we’re loving it! Great hair indeed! I’m positive that all the cheerful colors in the spectrum are in attendance in this radiant ceiling installment! Flashy swags swept overhead with a combination of vivid and pastel-hued Japanese lanterns. Strips and rings of foliage were also added for visual texture and variety. Check out the Cloud Guys having a party on the top floor! Would you dare give them a high five? The wonderful main area was a tad tribute to Poppy’s favorite hobby: scrapbooking! It feels like the color wheel had burst on the stage, even Branch in his usual shade of gray can’t help but smile. It was simply a fusion of all things girly: pastels, rainbows, flowers and downright cuteness. The tablescape mimicked the styling of the main area, which is Poppy-styled scrapbooking. The centerpieces really hit close to home, as they were exactly like how Poppy would put together her scrapbooks. The background is a miniature version of the stage backdrop and blooms in a variety of striking colors and textures made these pieces genuine eye candies. Branch could still use a little more sunshine, but that fact does not diminish the charm of the whole thing. Shiloh’s 3-layered fondant cake, created by Mommyluv’s Kitchen, will surely have everyone’s cameras whipped up. Pastels and flowers juxtaposed can never go wrong, and Shiloh’s cake is a delicious proof of that. Even Branch agrees, judging by his natural bright blue color. Anyone who doesn’t believe that life is all about cupcakes and rainbows must not have seen Shiloh’s desserts station. Sweets in all their colorful sumptuousness are laid, ready to set in any one’s tummy and bring happiness. One might say that a guest may have very well felt how a Bergen feels about trolls during Trollstice. Madison Events truly know how to hype up a party. Kids and adults alike enjoyed the games and the shows prepared for them, as can be seen through their big smiles. All those fun games and laughter can definitely take a toll on your energy, so Shiloh has brought in some snack reinforcements: ice cream, fries, popcorn and cotton candy. Looks like Poppy, Branch, Creek and Biggie are manning the booths. Shiloh’s photo area veered a bit away from the usual snap set-ups. Cooper, Poppy and DJ Suki wait as guests try to be in their shoes — or heads, in this case. Looks like guests left with sunshine in their pockets! Snack packs were given away as thank you gifts. “Happiness is inside all of us. Sometimes you just need someone to help you find it”. Here’s the whole family, making sure that happiness makes Shiloh’s heart its home. 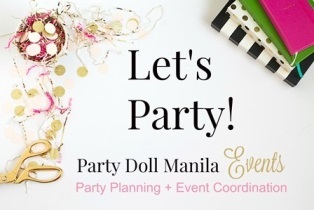 hi, i would like to inquire on how much it will cost me if i want this troll theme party for my daughter..it will be a mix of her christening and 1st bday. Can you give me all ur quotes for this party. thanks.